After first being announced at Mobile World Congress 2018, the ASUS ZenFone 5Z will finally be coming to the US. Deemed an iPhone X clone by some, there is more than meets the eye when it comes to this flasghip. While it is similar to the iPhone X, in some ways, it improves on the design. The ASUS ZenFone 5Z is a very different animal from the previous generation. Starting with its beautiful 6.2" display, the new device does a great job of overcoming past phones' criticism of having an unattractive design. But this more than just a pretty phone. The 5Z is jam-packed with legit flagship specs and incredible speakers, making it a great phone for media consumption. The first thing you notice when you hold the ZenFone 5Z is the new display. A beautiful edge-to-edge, 6.2-inch 1080p display. The screen has 100% DCI-P3 coverage and a 19:9 aspect ratio. ASUS brought over Apple's True Tone technology, calling it Auto Color Temperature. When enabled, the phone will monitor its surroundings and adjust the white balance to match, creating a more comfortable reading experience. The display reaches a maximum brightness of 515 nits and supports glove touching. It also has an astounding 90% screen-to-body ratio, among a small list of phones to reach that feat. However, like the iPhone X, it needed a display notch to achieve this. Depending on how you feel about it, this can be a dealbreaker. As OEMs meet consumer demand for smaller bezels, speakers seem to be sacrificed. Nowadays, it's rare to find front-facing speakers, but what's even more depressing is the loss of stereo speakers. Fortunately, ASUS didn't forget about audio quality with the ZenFone 5Z. 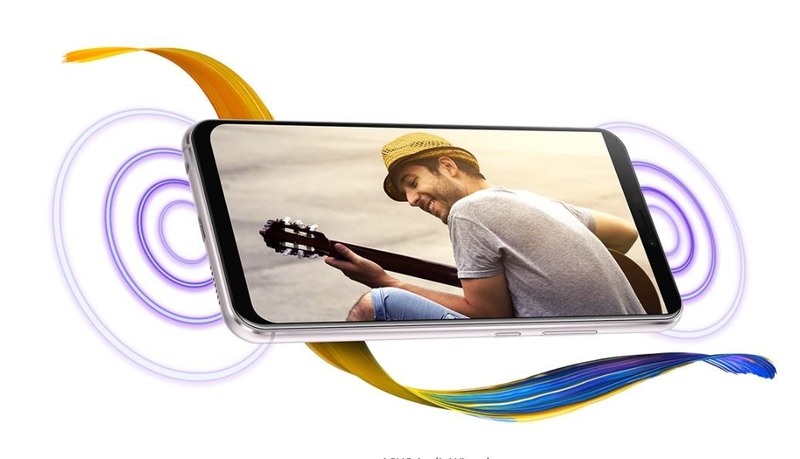 The ASUS ZenFone 5Z has dual stereo speakers using the earpiece and a bottom-firing speaker. Both are enhanced by NXP 9874 Smart Amps, which allow the speakers to drive louder sound without the risk of damaging them. As a result, you have some of the loudest speakers found in a smartphone that also happen to provide clear, clean sound. However, the audio enhancements don't stop there. The ZenFone 5Z supports Hi-Res audio, whether using wired headphones or wireless. That's right — unlike the phone it borrows its design from, it was actually able to retain the 3.5 mm headphone jack. The ZenFone 5Z can play audio files up to 24-bit/192 KHz, which translates to even better sound quality than a CD. The 5Z also supports DTS Headphone:X for a 7.1 surround sound effect that's artificially created to output to headphones, resulting in truly immersive experience when watching movies. The popular buzzword in the the smartphone industry is AI (artificial intelligence), and ASUS is hopping on the trend. Using Qualcomm's Artificial Intelligence Engine, ASUS is enhancing everything on the phone with machine learning. Starting with app performance, the ZenFone 5Z learns which apps you use and predicts which one you will use next to make sure it's loaded in memory when you need it. The default launcher will suggest app you might be interested and will launch these suggestions faster. Charging is also enhanced. It appears ASUS is leveraging some of the recommendations we made in our battery charging article and adjusting the charging rate based on your habits. Known as AI Charging, the phone will learn your charging habits and change the charging rate accordingly. If you happen to follow the bad habit of leaving your phone on the charger even after its charged, it will reduce the time it takes to reach 100%, reducing the strain that maximum capacity causes on the battery. Honestly, bravo to ASUS. Another new AI enhancement is AI Ringtone. The phone changes the ringer volume based on the noise level around you. For example, if you're somewhere noisy, the volume increases so you can hear it, but if your phone's in a quiet area (such as your nightstand), the volume is reduced. 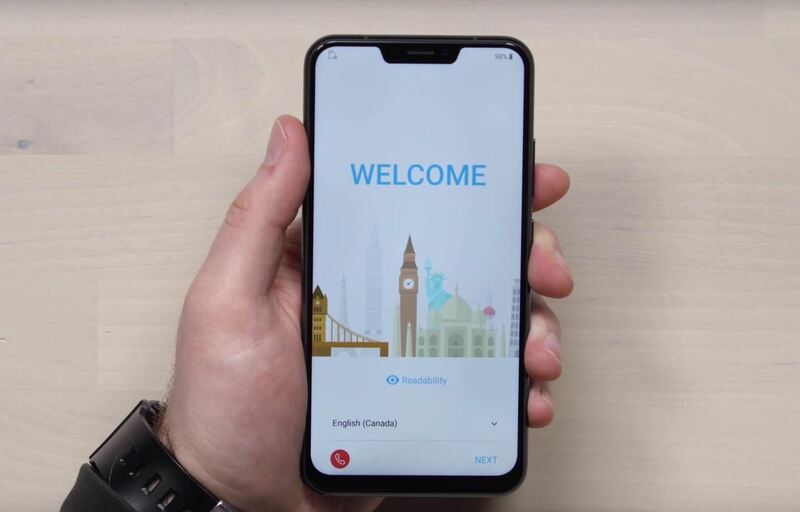 There is also AI Calling which will adjust your microphone based on your surroundings to ensure the person you're calling can hear you clearly. Finally, AI is being leveraged to improve the cameras, but I'll talk more about that in the next section. The ZenFone 5Z is equipped with two rear cameras, one 16 MP and one 12 MP. Both use the Sony IMX363 image sensor. The primary camera has a typical field of view of 83°, while the secondary is wide-angle at 120°. The primary lens has optical image stabilization and electronic image stabilization. Additionally, there is an RGB color correction sensor. The selfie camera is an 8 MP with f/2.0 aperture. Like the rear cameras, it supports portrait mode and a feature known has NightHDR, which leverages the dynamic contrast of HDR in low-light scenes. Using machine learning, the rear cameras can detect up to 16 different scenes and adjust the camera settings to best capture the scene. Machine learning is also used in a feature called AI Photo Learning. The phone learns how you like your photos to look and automatically adjusts the camera settings to your preferred choice. Finally, the gallery app brings over many of the AI enhancements of Google Photos. Automatic grouping of photos based on the objects in the image is supported, including grouping photos by individual people. Exclusive to ASUS devices is ZeniMoji. 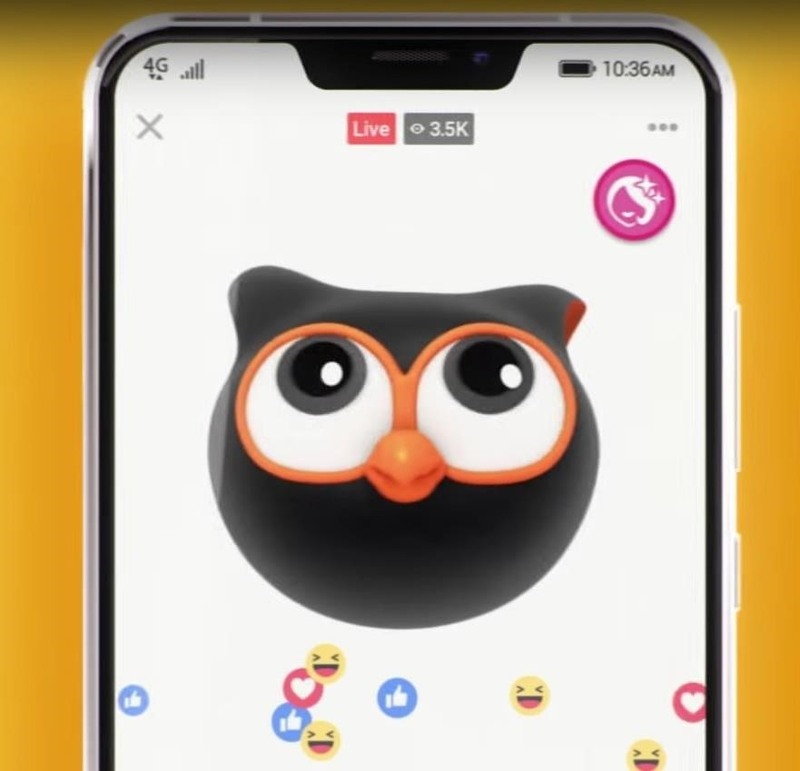 Similar to the iPhone X's Animoji (to the point where it's hard not to call it a blatant ripoff), the ZenFone 5Z lets you create animated avatars that mimic your facial expressions and head movements. You can use these avatars instead of your face in video calls, live streams, and videos. 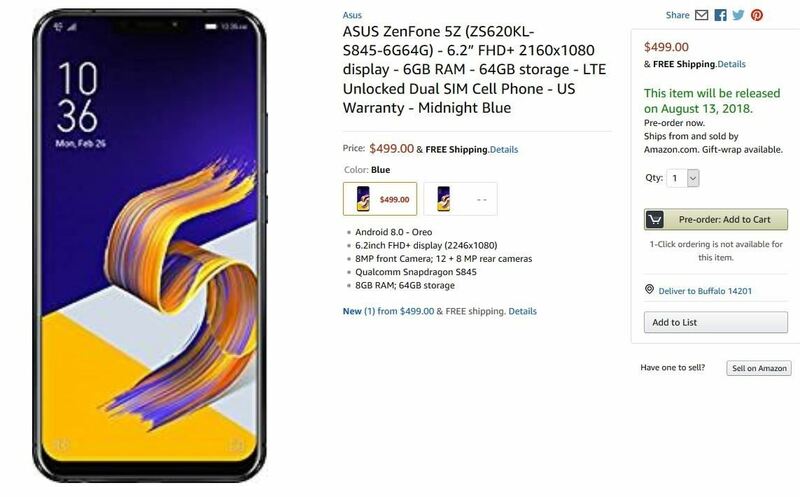 Starting today, the ASUS ZenFone 5Z is available for pre-order on Amazon. There are currently two colors available: Midnight Blue and Meteor Silver. The phone will ship August 13. And I'm excited to say that this phone is priced at $499.00. Just to put that in perspective, that's about $30 cheaper than the OnePlus 6 with nearly identical specs and a better speaker. The ZenFone 5Z is a promising offering from ASUS. It has a stunning design, great speakers, and a great price. While I haven't really enjoyed the past few years' offerings, this device has me genuinely excited. What do you think about the ZenFone 5Z? Let us know in the comments below.